‘Meat Noodles’ that were received great compliment from the famous food program. 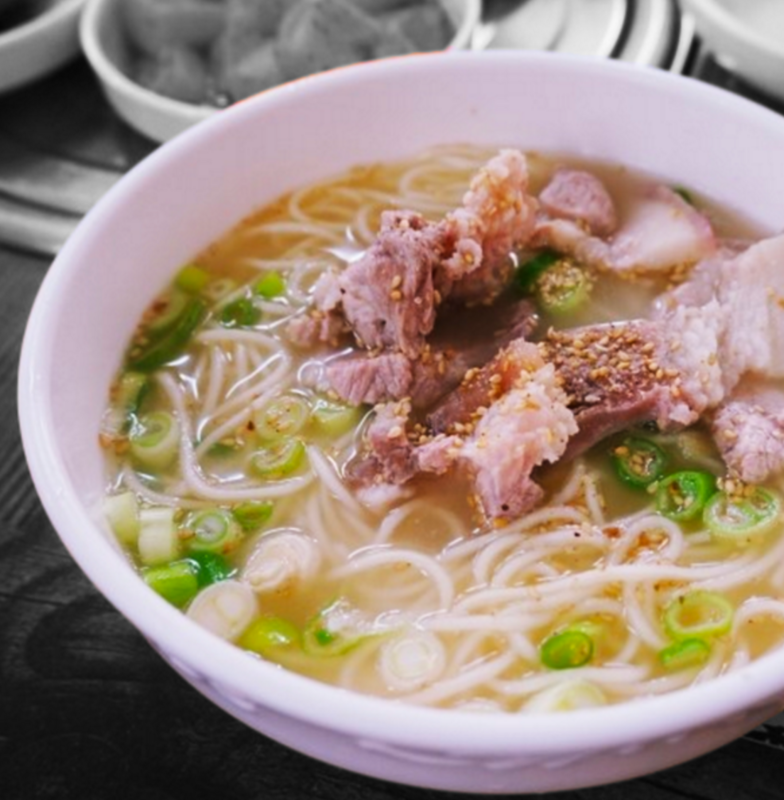 Meat Noodle consists of white boiled soup which has vegetable garnish and noodles that are thicker than banquet noodles. The texture is slightly chewy like wheat noodles and the taste of soup is like a bowl of beef bone soup which seems to be made by mother. That is difficult to compare with any other dish. After having a spoonful of meat noodle, a deep taste in flavor makes a happy smile. Recently, there is a new popular menu of Spicy ColdChewy Noodles which is mixed with spicy and sweet pepper sauce like Spicy Noodles. Since Jeju Island used wheat as its main dish, it is characterized by thick noodles unlike other regions. Nowadays, most shops are using mid-sized noodles for making meat noodles. Pork does not contain any other spices or vegetables, but only pork bones and pork are boiled in the water. The reason there are only pork bones and pork is that the Jeju pork does not have disgusting smells and the fat has the great light taste.